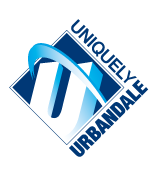 The Board of Directors of the Urbandale Community School District delegates to the Superintendent, or to the Superintendent’s designee, the authority to sign the following contracts or agreements on behalf of the District, provided such contracts and agreements are otherwise in accordance with District policies. This shall be in addition to other delegations of authority pursuant to other policies. The Board of Directors may, however, from time to time and in advance, specifically withdraw the delegation to sign an agreement on any particular matter. Contracts and agreements for student fund-raising activities.